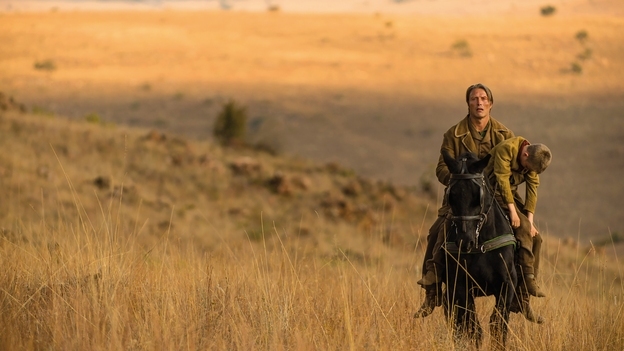 Mads Mikkelsen does what a man’s gotta do in the lawless pioneer West in this violent and stylish, smørrebrød western. The western rides again in Kristian Levring’s gripping tale of hate, murder and revenge on the pioneer trail. The year is 1871, and ex-pat Danish soldier Jon (Mads Mikkelsen) is welcoming his wife and son from the old country. Taking the stagecoach to his farm near Black Creek, the family are joined by a drunken outlaw and his taciturn sidekick, and when the bandit makes a pass at Jon’s wife, all hell breaks loose. Jon fights back, but his actions send shockwaves through the local community, drawing the ire of local tyrant Delarue (Jeffrey Dean Morgan), who demands that amends must be paid with human lives. 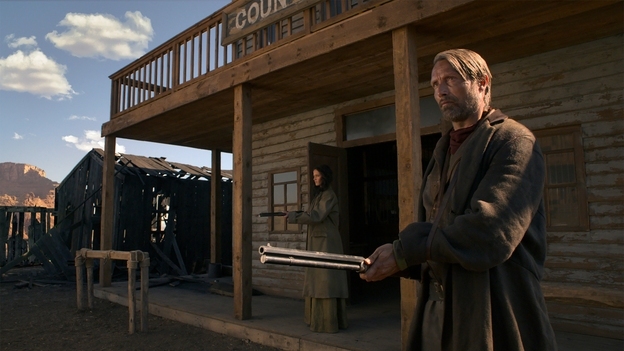 Paying steely, square-jawed homage to the laconic antiheroes of Sergios Corbucci and Leone, Mikkelsen fights dirty to keep the town clean, finding an unlikely ally in Delarue’s mute Native American wife Madelaine (Eva Green), a woman with a fierce warrior spirit. 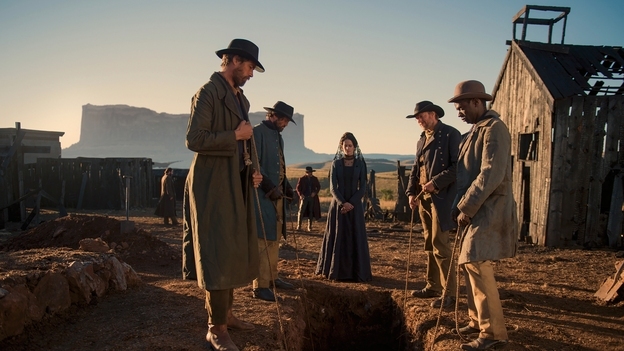 As for Black Creek itself, populated by shifty, characterful faces – notably Jonathan Pryce as the undertaker/mayor Keane and Douglas Henshall as the priest/sheriff Mallick – that, too, may be more than it seems, while Levring gives the muddy, bloody Old West a hyperreal makeover as tempers hit boiling point under its thunderous killing skies.